Last Monday I was warmly welcomed to the Cwrtnewydd Scribblers and I came back with homework. I’ve penned a short story for the first time in years and thoroughly enjoyed it. We read out our work and in return receive feedback and suggestions. This afternoon, we’re trying a writing exercise I enjoyed at Swanwick Writers Summer School, to keep us writing and focussed. It’s the one where you take it in turns to choose a word through the alphabet and then have 30 minutes to use as many as possible to begin a story. I thoroughly enjoyed the two years I went to Swanwick. I loved being back in the class room atmosphere with time to do my homework, great people to be around if you wanted to or the lake to sit by for quiet contemplation. I met fellow writers, all on different writing paths and that’s the bliss of summer school or writing groups, people of all ages and occupations, brought together by their passion for writing. I am very lucky to have a writing group in the next village and I’m excited about this afternoon. I joined the Billericay Writer’s Group, graciously chaired by Ivy Lord, aka Elizabeth Lord, prolific author and wonderful lady. (I loved the Chandelier Ballroom!) I met a diverse mix of authors and poets, sharing their WIP for critique as well as getting updates about successes and rejections but, most importantly, I met my writing buddy and true friend, Peter Jones, whose support and advice, when I wavered and doubted, kept me writing. 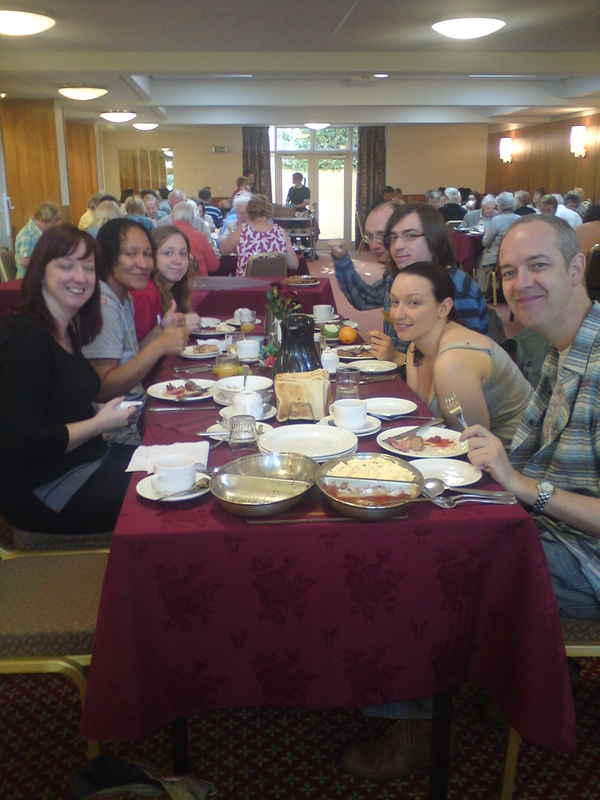 Every writing group is different, some more formal than others so try them out and find one that suits you. 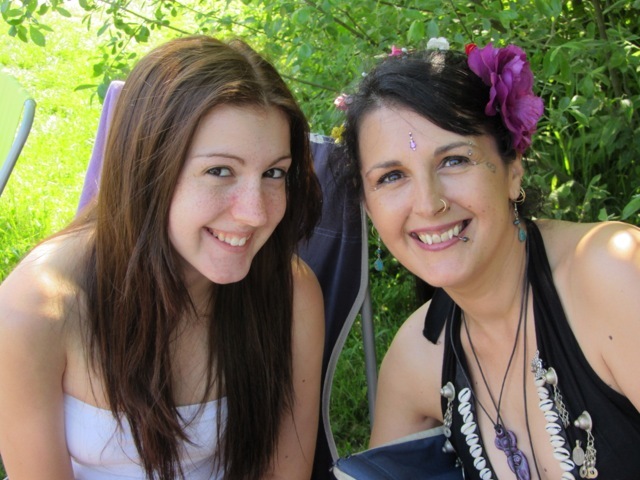 I’m also happy because I’m seeing my daughter today. Her kind and thoughtful boyfriend, knowing she was low, especially after hearing the news of Olly’s passing (our much loved old tabby cat), has booked a hotel close to where we live and is bringing Jasmine to her Mum. There’s homemade chocolate cake in the tin and I’ve pulled the last of our potatoes for dinner. It’s hard to describe how I feel about her being here with me in Wales, even if only for a few days, but I can’t wait to hug her. Do you get the impression I’m a happy person? I like to think so. I’ve lived with depression all my life but chose not to let it be my life. 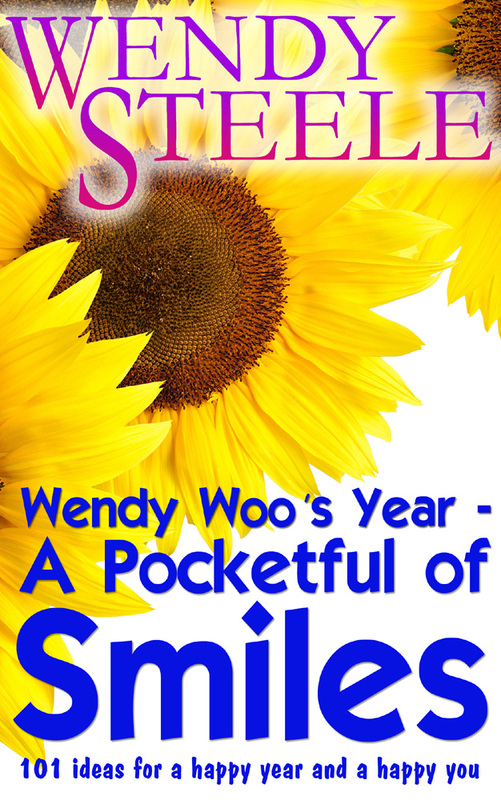 You can find the strategies, ideas, pictures and focus I use in ‘Wendy Woo’s Year – A Pocketful of Smiles – 101 ideas for a happy year and a happy you’ which features in my ***FULL MOON BOOK PROMOTION***, available for 99p/99c for one week only.